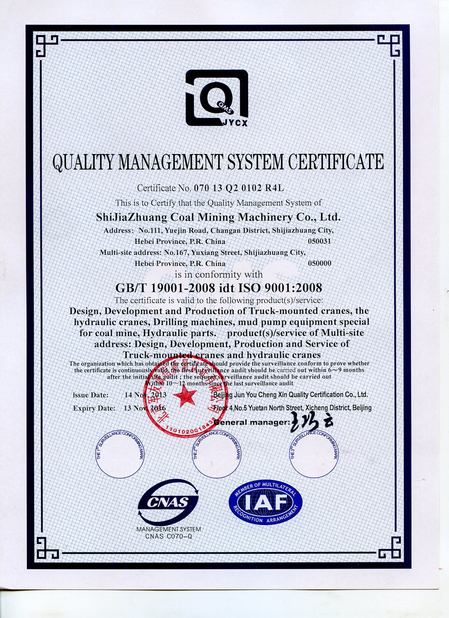 Quality Control - Shijiazhuang Coal Mining Machinery Co., Ltd. 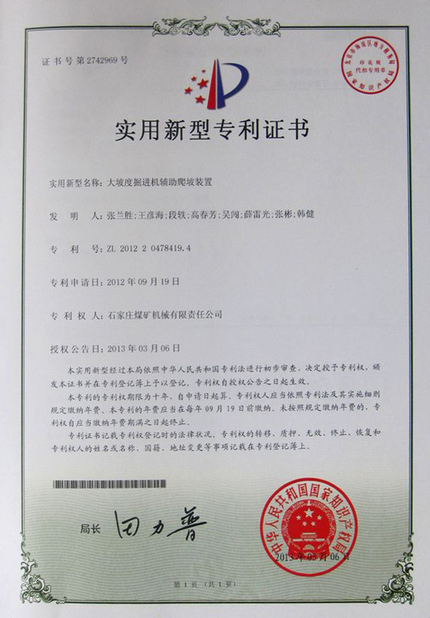 The company made the quality control system documents according to ISO9001：2008 and GJB9001B-2009 military supplier standard, include Quality Manual, Process Control, Supporting Documents. 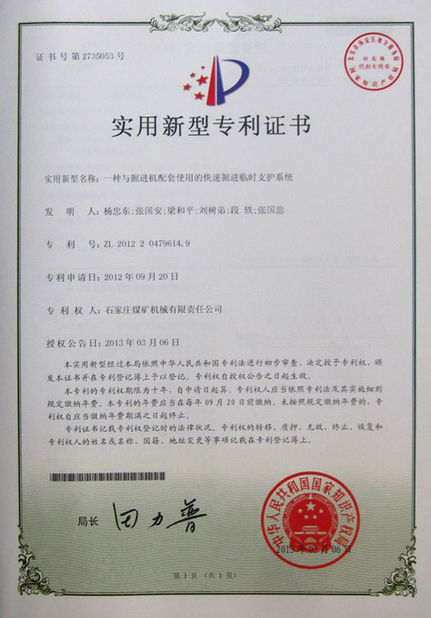 The system documents made the responsibility of each department clearly. 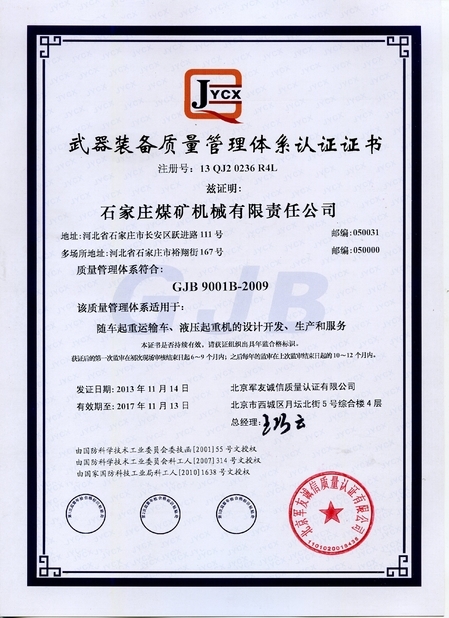 Issued By:Beijing Jun You Cheng Xin Quality Certification Co., Ltd. 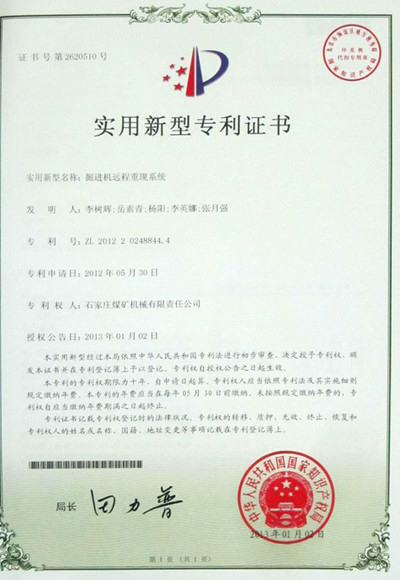 Issued By:Beijing Junyou quality approval company Ltd.